Choosing Platinum gives the car a nano-based ceramic shield which helps to maintain it's high-gloss showroom finish for years to come. Unlike other coatings, Platinum forms a chemical bond with a car's paintwork, so it becomes the functional surface of the car. The Platinum paint protection gives unrivalled UV and dirt repellency, keeps swirl marks at bay and makes all cars a dream to maintain. Gtechniq Platinum offers a scientifically tested, nano-based system of protective treatment which outperforms anything else available. Getting the car perfect before application makes all the difference. 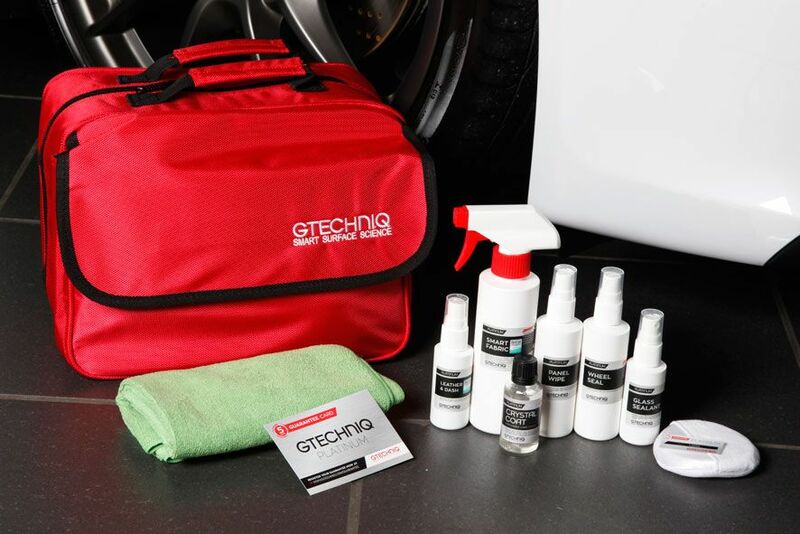 We highly recommend having your cars paintwork fully detailed before applying the Gtechnic Platinum Ceramic Protection. This ensures that the paintwork is in it's best possible condition before it is coated and protected from the elements. We outsource this work to professionals like f1wax.com who have honed their skills over many years and look after some of the most expensive cars in the world. 2019 Safwat Cars. All Rights Reserved.